Hey all. My last partial mash of a Black Butte clone exceeded my expectations. First time. Thanks to everyone whose comments and advice have helped get me to this point. I'm not sure I want to go all in on all grain at this point. I find it a tad intimidating. In baby steps fashion, I am considering trying a brew in a bag approach and see how I do. Any opinions on BIAB and or recommendations on an easy style to try? As always, thanks in advance for your insight. BIAB IS all grain brewing. You're still mashing, you're just doing it with a different type of "filter". Using the bag rather than a false bottom, or cooler. You still need to focus on your process to get good beer. Water pH, temperatures, etc. Just pick a beer you like and do it. I did the opposite. Full blown mashing to cooler to bag. Never looked back. I do BIAB, I prefer it because of the relatively easy clean up. BIAB, like another poster said, is all grain brewing. You need to get your grains milled, and treat it like an all grain brew. But like I said, I find it way easier to clean afterwards. I wouldn't be too scared of all grain brewing. Once you get the hang of it I think it's easier - and waaaay cheaper - than extract or partial mash. BIAB is a good way to get started on it without a lot of extra steps and mess. An easy style? Maybe try a cream ale. There's a famous recipe on Home Brew Talk that has like one grain and three adjuncts in it. I'll probably wind up brewing it when summer rolls around. But again, with BIAB it doesn't really matter how "complicated" it is on the grain front. 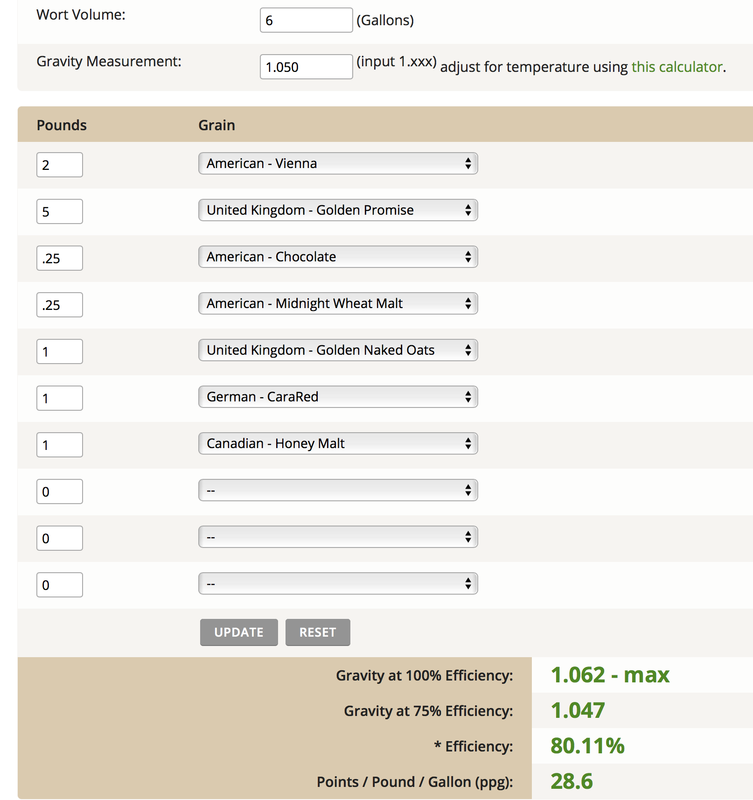 You just get to your sacc rest temperature, pour the grains into the bag until after mash out, and that's pretty much it. Sorry. Hit the send button by mistake. My biggest concern is how I control the starting gravity of the resulting wort. With extract, that's basically done for you. While I haven't done it before, I assume that procedure is key to ensuring efficiency and maximizing fermentable sugar. Then again, I might not know what I'm talking abiut. I think maybe someone else with a little more knowledge than me should speak on that. I'm still figuring out my efficiency on my kettle right now so I'm often over shooting my OG. I think that has more to do with a lack of efficiency than all grain brewing or BIAB though. I have done all 3 styles (extract, biab, non-bag all grain). Personally I'm not the BIGGEST fan of biab, but that's just me. It has nothing to do with taste, just something about the bag in general... it made me feel like I was making a gigantic cup of tea with a giant teabag. There is absolutely nothing wrong with biab, it just wasn't for me. I first started with 1 gallon all grains. Tried a 1 gallon extract and found it boring, went back to all grain. Moved up to 5 gallons, but did not want to spend the money for the large, all grain equipment right away, so I did 5 gallon extract brews with partial boils. Got the hang of brewing by doing various 5 gallon extracts and 1 gallon all grains. Finally bit the bullet, moved up to 5 gallon (and one time, a 10 gallon) all grain and have never looked back. I love it. Any sort of all grain feels more like a legit form of brewing, more like how the commercial brewers do it. Extract makes me feel like I'm playing with a little kids chemistry set... just add add pre measured substance, provided fully for you, at certain times.... and get a beer at the end. It works, but I like it less. Biab is a great way to jump into all grain brewing. It makes smaller batches (3 gallons) so you aren't overwhelmed by 5+ gallons right away. Like I said, it was not my favorite style, but it did teach me plenty and jump started my interest in all grain. I say give it a shot, many people love it and stick with it, some use it as a spring board to bigger things. What's the harm in trying? BIAB here also. BIAB is all grain. Limited by space(no basements here)(garage hotter than hell all but @ 1 day a year). I love BIAB, makes some good beer.....5 gallon batches. To answer your question, you can still do kits and do all grain, or you can make your own recipes up( I use brewing software to assist). If doing kits, which is fine(I still do on occasion) The OG will still be up to you to hit with good process as you said. Each kit will give you a target OG. Really you can't go wrong here, it's what works best for your space and budget. Enjoy! An easy style to try would be IPA. Don’t sweat the efficiency numbers for the first couple batches. Just do it, then worry about doing it better. Your recipe should have a target OG just see how close you get. Couple point for first AG batches. You really need to have the right mash temp. Your strike water will have to be be a bit hotter than you need because it cools a bit when the grain is added I need 163 water to mash at 155. You really need to actually measure and write the measurements down to help you you learn your system. Second. Figure out your boil-off rate before you brew. Fill your pot with a known amount of water, and boil it for an hour, then measure the what’s left after it cools a bit. If you boil off one gallon per hour, then you need to start the boil with 6 gallons to make a 5 gallon batch. @sneezles61 Did you have a unique name for your recipe? Shouldn't be a problem finding it with some key words to use in a search. @sneezles61 Was this the post? I just did my first BIAB on Sunday and I must say that I'm digging it. Far less clean up and much shorter brew day than my normal all grain method. Besides my crappy electric stove that takes forever to boil and undershooting my water needed to end up with 2.5 gallons in fermentor, it was a pretty good brew day. I did top up the fermentor with RO water. I'm trying some small batches and figured to give the BIAB method on the stove top a shot rather than lugging out all the other equipment. I will use my burner next time but it was nice to the put the kettle in the sink to chill my wort. I kind of rushed it and didn't take any readings but I'll see what I end up with and go from there! Hit 82% efficiency last weekend with my BIAB. I have 3 layers of Refectix insulation that I have sewn together and wrap my kettle with a velcro fastener (similar for lid as well). I lose at most 2 degrees over an hour with stirring every 15 mins. This last attempt, after the hour was up, I just went to bed and picked up in the morning where I had left off. The setup lost about 20 degrees over the 8 or 9 hours I slept. Just hit 80% efficiency on this BIAB Porter I'm making today. Gravity measurement is pre-boil.